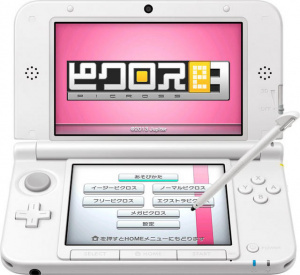 Jupiter Corporation's Picross series is gradually becoming a staple series on the 3DS eShop, providing a crisp, polished set of games based on the popular puzzle style. It's also a series that's had a sketchy release schedule in different regions, something that the publisher seems keen to resolve. While Japan customarily receives these titles first, Europe enjoyed Picross e for nine months before it finally arrived in North America, while Picross e2 has been available in the EU since January this year with no release across the Atlantic. Jupiter Games has provided a press release to ease impatient minds, however, with e2 now due in North America and Brazil in late July; as there's only one standard Thursday update day left this month, 25th July seems very likely. 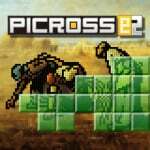 Even better news is that Picross e3, available in Japan since 12th June, is slated for a September release in both Europe and North America, suggesting that the publisher has finally aligned its localisations across both territories. We're rated these titles highly so far, with both scoring 8/10 in our reviews. 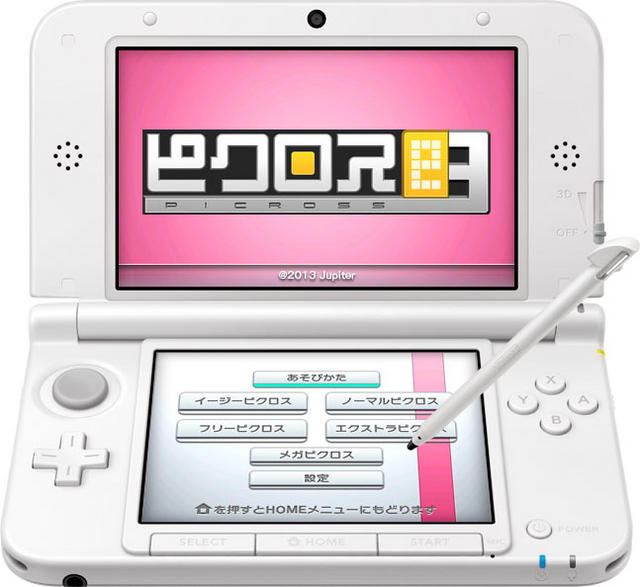 Are you looking forward to more Picross goodness in the near future? I seriously doubt that E3 will learn from the mistakes of E and E2 before it, and the largest puzzles again will only be 15x15, a step down from the 20x15 puzzles featured in Picross DS and Mario's Super Picross. The Free Mode in E and E2 also lacked a "Try it out" mode, something the game sorely needed and was present in both Picross DS and Mario's Super Picross again. What I'm saying is would it hurt them to make a fully featured Picross game instead of individual packs with smaller puzzle pieces and less functionality? I mean the lack of music tracks is another thing too, all other picross games had a choice of tunes. I don't mind the delays...It's way too addicting. Nice. Gonna add e3 to my collection. Like meltendo said ..pretty addicting stuff. More Picross goodness is always a bonus. While I'm a firm believer in physical retail cartridges for major releases, games like these are perfect as eshop downloads, since they're great to pick up and play to kill time here and there. I'll likely download this one and play it in spurts like I did with Crosswords Plus. I love my Picross, but acquiring the e games became much less pressing for me once I learned that the largest puzzles are only 15x15. e was so bland, I'm probably not going to be in a hurry to get e2 or e3 till I've cleared my backlog. I am still going through Picross 3D (almost 50 hours now) and then I may pick one of these up. After I've played through them all, I erase them, and they're good for another play through as they area easily forgotten by me. I got all 3 US retail releases, Picross DS, Picross 3d and Color Cross which was made by another company but good just the same. This game was highly responsible for me being so active a user and buyer of DSi games. I still need to pick up the first one. I picked up Mario's Picross through Club Nintendo & fell in love with it, lol. i own the other 2 but i haven't really enjoyed them that much. i hope they do some nintendo based puzzles in the new one, a bit like pullblox did because, as far as i know, there aren't any in e and e2. i'll still be getting e3 though, because they are quite fun. Will wait for a review of P-e3. After playing all the way through Super Picross (SNES) on VC, this series really feels like Picross-lite. Will need to see bigger puzzles, and other changes, otherwise i will pass. 20 x 15? I think you mean 25 x 20. NOBODY TELL MY WIFE! I'LL NEVER SEE MY 3DS AGAIN! I was questioning that too, yeah they were 25x20 puzzles, those were the real deal, the "Micross" puzzles were sorely lacklustre for being made up of several 10x10 pieces. You want big Picross puzzles? Cool! I just got Mario's Picross, but as soon as I'm done with that I'm moving on to Picross e and then e2 and so on. Picross is just so awesome! 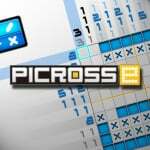 Picross e3 is coming! Good news! Happy about this. As others here have pointed out, this "e" series has some issues (just put bigger boards dammit! ), but picross is just too good to pass on this. Day 1 for me.